There is nothing better than a warming bowl of homemade stew on a cold, rainy day. 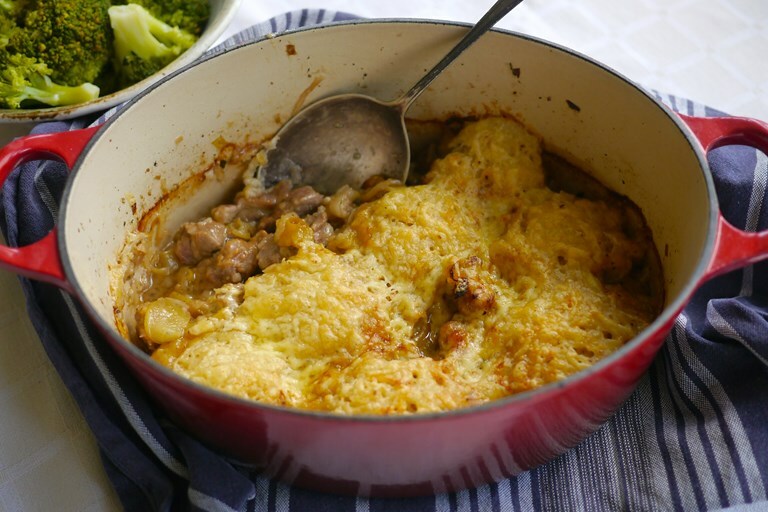 Victoria makes her pork stew recipe with apple and Somerset cider to help cut through the rich, meaty flavour, and adds pillowy cheddar dumplings on top for an extra comforting finish. 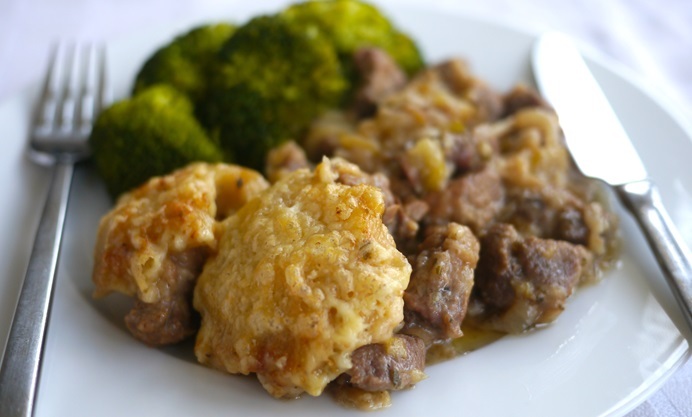 This dumpling-topped stew is a real crowd-pleaser and so easy to make. Crisp, sweet and tart apples against tangy, creamy Cheddar and soft pork is both comforting and refreshing. This recipe is simple to prepare, but takes a little time to cook, which is no great hardship, as you can get on with putting your feet up while supper gently simmers.